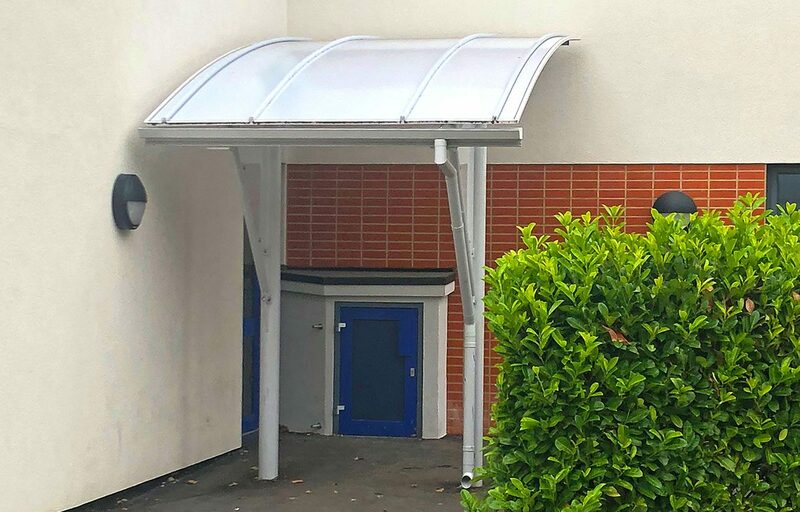 Fordingbridge worked with the principle contractor to deliver seven entrance canopy structures as per their phased programme. 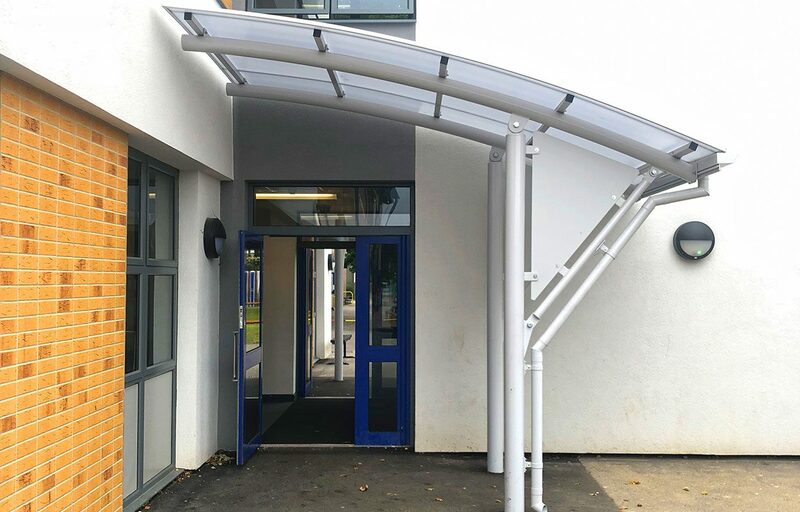 Each canopy was designed to accommodate the various sizes. 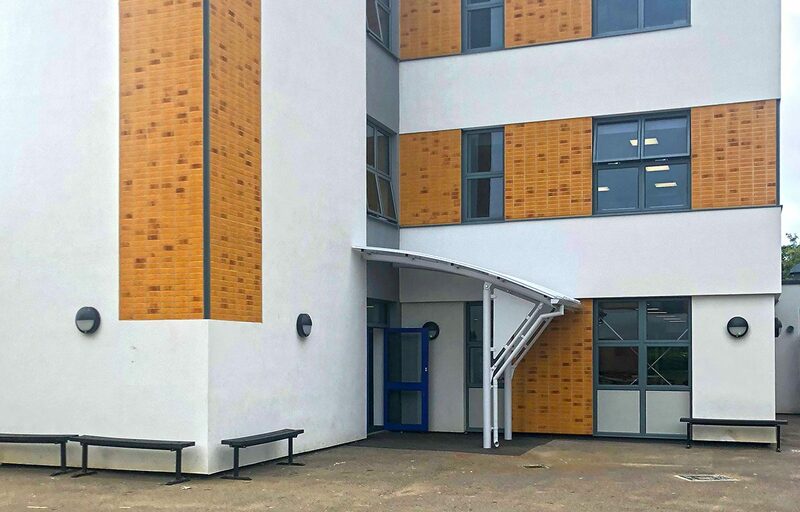 Completed with polyester powder coated steel and a polycarbonate roof, this structure provides an area for staff and pupils to wait, protected from the elements, whilst enhancing the facade of the building. All steel work is designed and manufactured by our in-house technical team, meaning precision in design and engineering and speed of manufacture for your convenience. Fordingbridge is a fully CE mark approved manufacturer of steel fabrications. All Fordingbridge structures hold industry leading guarantees and are structurally calculated to ensure the canopies are fit for purpose.